Ventura County eligible professionals or eligible hospitals that choose to meet the meaningful use requirements of the Health Information Technology for Economic and Clinical Health (HITECH) Act of 2009 may review specific data categories here. Ventura County Public Health Department (VCPHD) is ready to assist with the data exchange for these public health objectives. 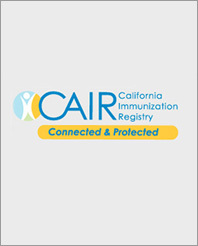 Ventura County Public Health Department is accepting immunization data through the California Immunization Registry (CAIR). Click here for overview. Email CAIRDataExchange@cdph.ca.gov if you have questions. Register at the CDPH HIE Gateway to receive reporting instructions. Click here for HIE overview. Email HIEHelp@cdph.ca.gov or phone 855-281-4996 if you have HIE questions. 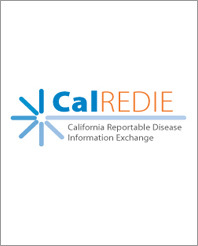 Ventura County Public Health Laboratory is accepting Electronic Laboratory Reporting data through the California Reportable Disease Information Exchange (CalREDIE ELR). Click here for overview. Email ELR@cdph.ca.gov if you have questions.